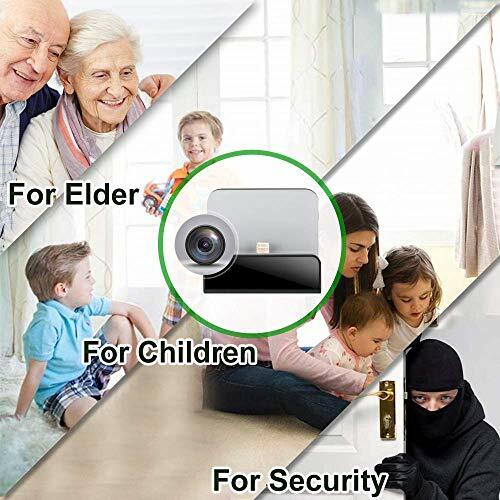 PERFECT SPY CAMERA: This nanny camera for home office surveillance/child care/affair & cheating catching. 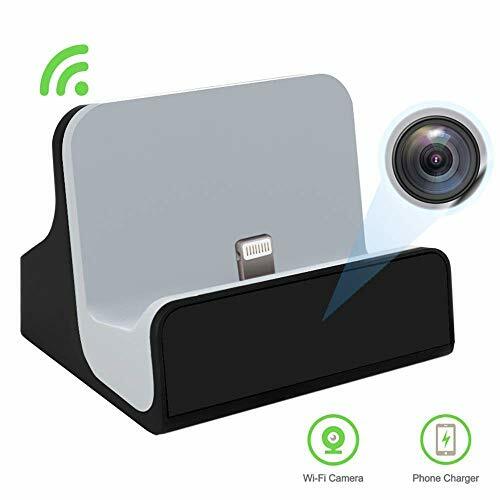 UNIQUE DISGUISED COVERT CAMERA: Invisible camera lens under the black special glass in a real charger dock, nobody will realize there is a camera inside, charge your phone at the same time. 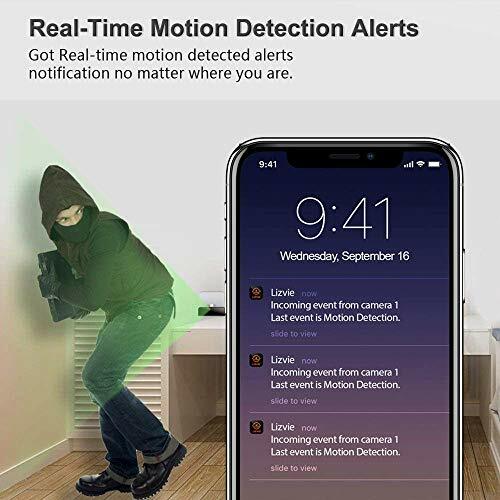 SENSITIVE MOTION DETECTION WITH ALERTS PUSHING: Knows and gets alerts when something happens in home/office in real time. Does not consume a lot of phone power. HD LIVE VIEW ON SMARTPHONE/TABLET: Wifi network camera. 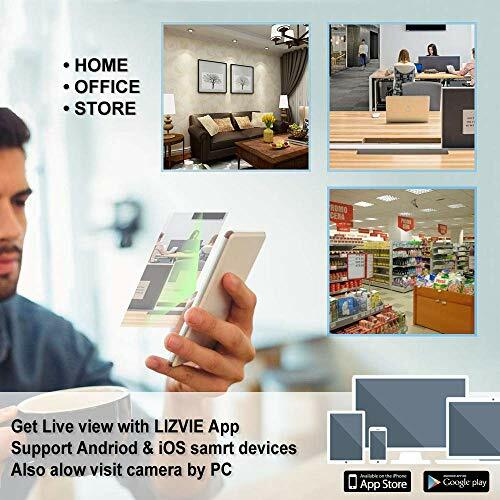 With free Lizvie App you can watch live video from smartphone/tablet online, take a picture or video to save as a proof or a memory in your phone or tablet. 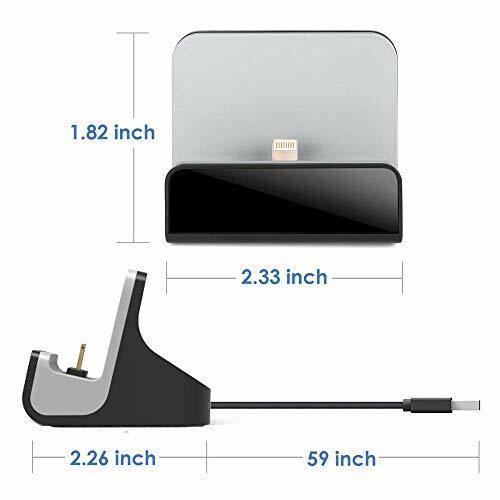 MAX 128G Micro SD CARD LOOP RECORDING: With motion detected record and full time record, you won't miss any important sense even during you have no time to keep on eyes on your phone.